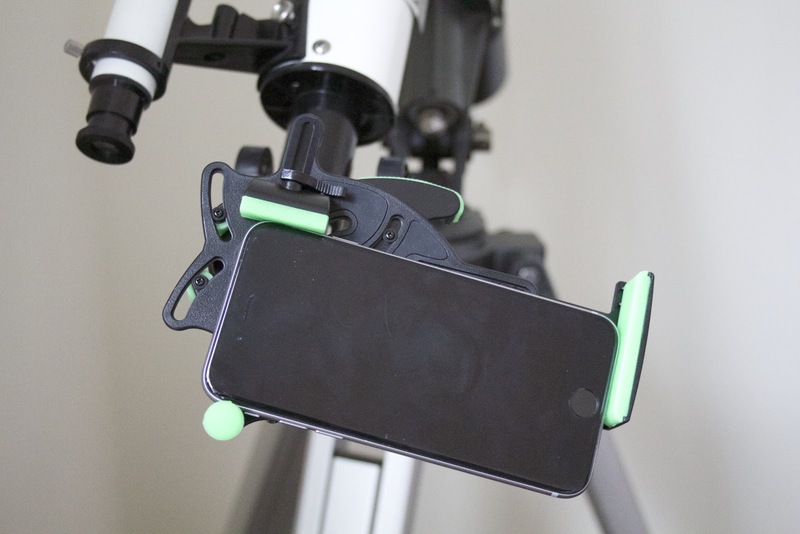 I'm writing this post to try to keep up with an emerging family of products offered to attach the iPhone to telescopes, microscopes, spotting scopes, and the like. Over the past 2 years I've been sort of watching these products at arms length, considering and hesitating to buy one. The problem is that these products seem to come and go within a matter of months, and it's difficult to keep track of which ones are still around, which ones are any good, and which ones people have actually tried using for iPhone astronomy and astrophotography. It started in 2012 when the Magnifi adapter had a successful Kickstarter campaign, (although I think Orion had their first model quietly available in 2012 as well) and since then the field has exploded with a series of short lived adapters that come and go with different versions of phones. From there, universal adapters became popular just within the last year or so, in what we could call the 2.0 era of smartphone telescope adapters. Now, I don't claim to have personal experience with all of these adapters, so this post is more of a knowledge base or a list of products that I've found out there. I also want to link to other amatuer astrophotography websites from enthusiasts who have actually used these products, or example astronomy shots that were actually taken using them. Some things to keep in mind with digiscoping (using a camera through an eyepiece), the quality of the image is probably not due to the adapter itself - because things like technique, post-processing, and telescope quality will all likely trump the adapter's contribution. Unless the adapter is just plain bad. Similar to other optical adapter stories, Carson started out with adapter cases for specific versions of the iPhone and Samsung Galaxy. As the trend is going, the demand for a universal adapter for any smartphone resulted in the Carson Universal adapter. I personally own this adapter, and it also comes highly recommended by Matt at iAstrophotography.com. A New Favorite Smartphone Adapter for Astrophotography! Your link here - submit yours in the comments and I'll update this post! 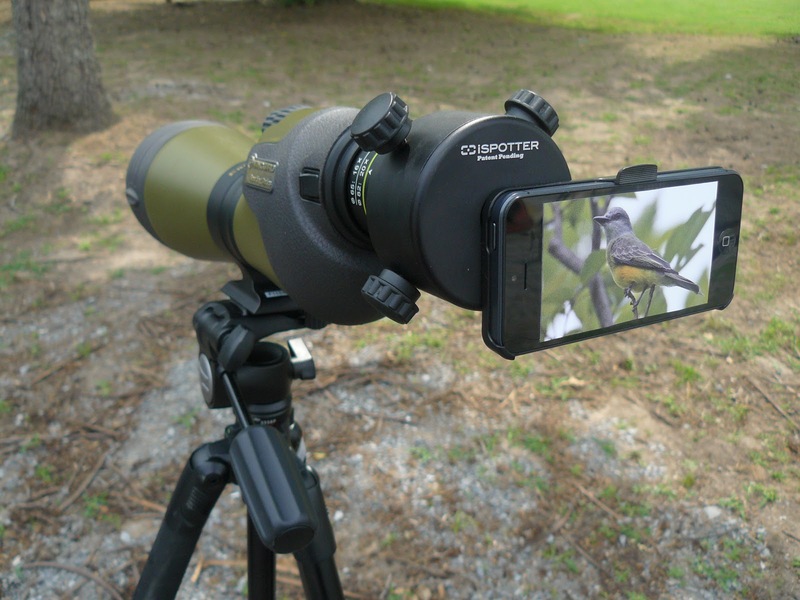 The iSpotter from ​iScope, LLC is another smartphone optics adapter that works with binoculars, telescopes, and spotting scopes. It seems like the company originally started with a rifle scope adapter with the idea that people could film their hunt or see through the scope using the iPhone as a display. They branched into the iSpotter, a version that works with spotting scopes and therefore things that are more similar to telescopes. It's an odd combination of being universal on one end, but requiring a "backplate" specific to your phone model. Nevertheless, it seems to do the trick! Orion has been in the smartphone telescope adapter game for a while, and had some iPhone only versions out for a while. It seems like every few months a new version would come out and the old versions would linger on Amazon. They started around $90 if I recall. The trend seems to be shifting toward universal smartphone solutions, and thankfully the price is coming down. They now have a universal smartphone adapter under $50. Andrew Symes, the preeminent iPhone astrophotographer of our day (in my opinion), uses an Orion SteadyPix for his shots. Orion 05306 SteadyPix Pro Universal Camera/Smartphone Mount, 1.25"
The Five Ancient Planets…with an iPhone! 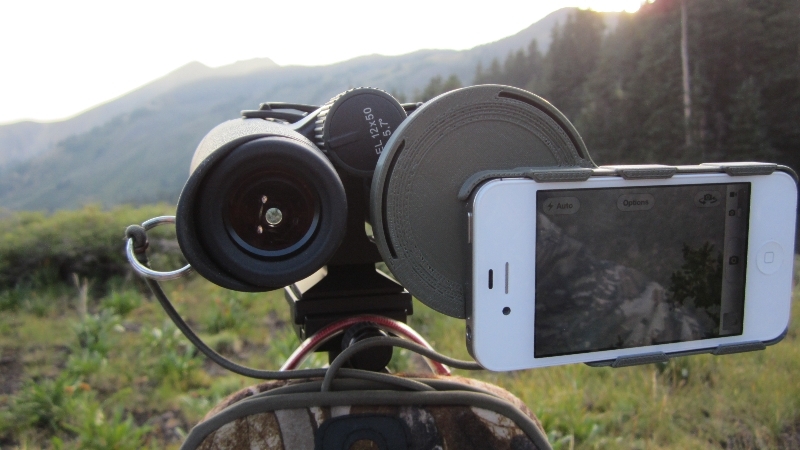 Phone Skope has a wide range of scope adapters for digiscoping and already has a big following in the hunting and outdoor sports community. Check out their Instagram page for some great examples (and the occasional moon photo). They do offer a universal option, but it's lost among the zoo of other adapters, and even the option to order custom dimensions. My prediction is that the trend toward universal adapters will take hold and we'll see a shift away from ordering based on your phone model. Snapzoom was smart to get in with a universal adapter (also a Kickstarter baby) for any smartphone - hopefully that means it has some staying power instead of trying to re-design a new case for every possible phone. In my opinion, they are right on the money with the idea that you need to be able to shift the phone easily along the X and Y Axis to line it up to various scopes. The flexibility is good, but I've read reviews that say the tiny screws are a pain - otherwise they are right on track! Awesome summary Eric! Thanks for sharing - those are some new ones I hadn't seen before!